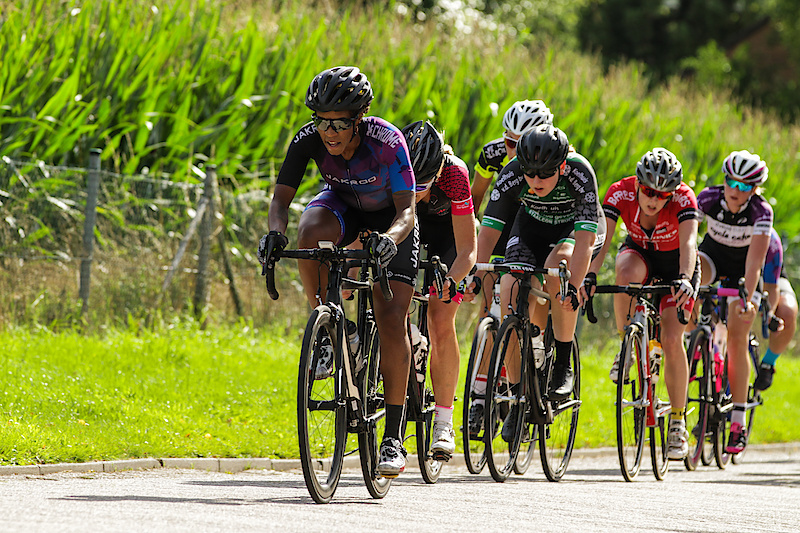 I have the goal of becoming the first African-American female pro road cyclist, ever. I am working tirelessly towards this goal and am determined to value every opportunity I come upon to make this happen. Having tested myself against top talent at the Redlands Bicycle Classic, the North Star Gran Prix, and several post Tour de France criteriums in the Netherlands and Belgium, my next goal is to find a team where I can grow as both a teammate and an individual. I was especially inspired by the teamwork from from non-GC contenders and would love to be in a position to contribute to a goal bigger than myself. I am extremely passionate about learning how to work for, and be a part of a cohesive team dynamic along with creating representation in cycling that will encourage and inspire other African-American women and youth to follow their dreams whatever they may be. I started a six month virtual ride series to encourage people to set goals, ride their bike, and build community.